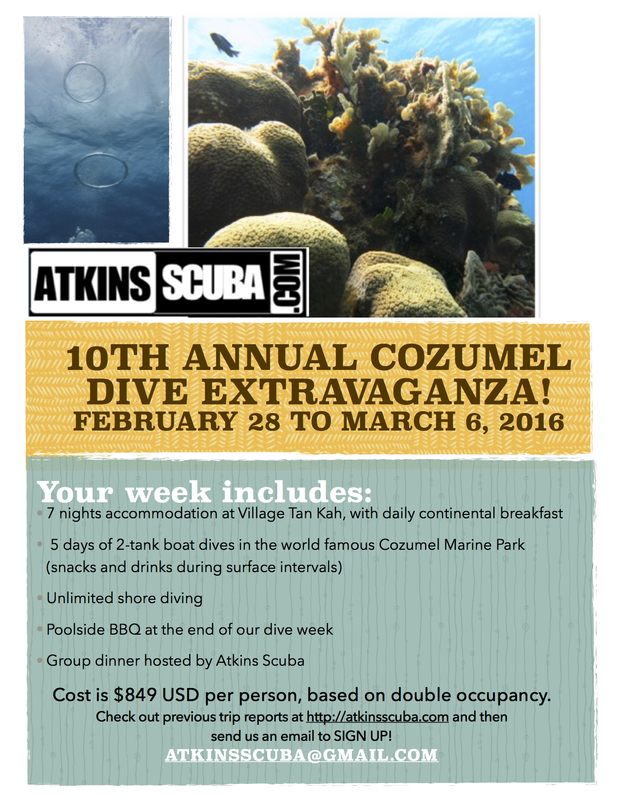 Are you ready for another fantastic trip to Cozumel in 2016! Let’s go! Kari and Matthew have been leading trips to Cozumel for nine years now. This year, we have expanded our Atkins Scuba team to include Stephanie Murphy! Steph has been with us since our first trip, and will be your host in 2016. She shares the local knowledge that makes these Atkins Scuba trips so fantastic! This will include a trip to our favourite taco stand (where you can even get BRAIN tacos if you wish) as well as a selection of our most-loved restaurants in town!